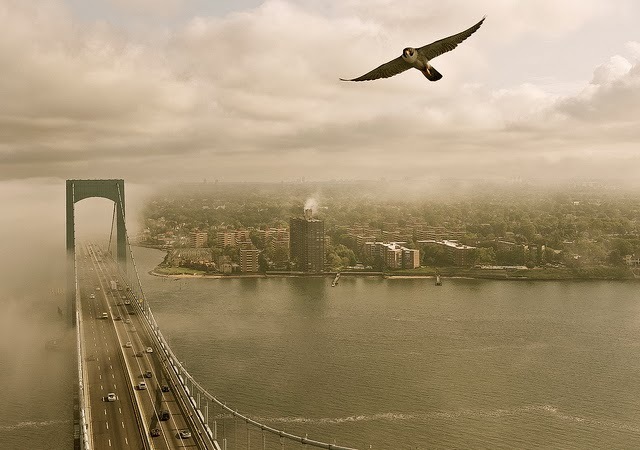 A Year of Being Here: Robert Cording: "Peregrine Falcon, New York City"
Swerved to a halt, wings hovering. Resolve to the will of others. Of too many pigeons. It’s a hired beak. Wonder and terror. Then it was gone. Surely a fit emblem for something. "Peregrine Falcon, New York City" by Robert Cording, from Common Life: Poems. © Cavenkerry, 2006. Photography credit: Untitled photograph by Patrick Cashin of the Metropolitan Transportation Authority, taken May 25, 2012, at East Atlantic Beach, New York (originally color).